What are investors looking for in a start-up business? As a start-up business, raising finance to take your idea to the next level is often an extremely tricky proposition. With no solid trading history and without the ability to prove you are able to manage credit, traditional sources of lending such as a loan from high street bank is often out of reach. Start-ups, therefore, have to cast the net wider and consider different funding channels. One of these is to seek capital funding from an outside investor. The first hurdle is to actually get into the position where you are able to speak to an investor face-to-face. Investors are inundated with proposals from hopeful businesses all seeking funding for their venture. In order to compete in this space you not only need to make sure your idea stands out from the crowd and is presented well, but also that you are targeting the right people with your pitch. A good place to start is to consider you current contacts. Who do you already know who could possibly help? How about their contacts? Put the word around that you are seeking investment; you may be surprised at who your secondary contacts are. Not only can this significantly cut down the time it takes to find an investor, but being introduced by a mutual associate is likely to garner a warmer response than approaching someone as a stranger. Once you get yourself in front of a potential investor, make it count. Of course your business idea will be the main selling point, but you are also selling yourself. An investor is unlikely to put their money into your venture if they don’t believe in you as an individual. This is your time to show what you can offer. Prove you have the business acumen, the passion, and the right motivations to steer your business to success. Be honest, be open, and be ready to answer tough questions. All investments come with an element of risk; you need to convince the investor you are worth taking a chance on. This relies not only on having a viable business idea but also a solid business plan to back this up. Ultimately, you need to show the investor how your business can make them money. This means providing prospective investors with detailed financials, ideally compiled by an accountant. Have you sold any of your products yet? Have you got a deal in the pipeline which could see an influx of sales? Have you run a successful start-up before? Anything cold hard figures you can put in front of an investor will increase your chance of success. An investor is looking for something unique. They are likely to come across hundreds of business pitches every year; the trick is making them choose yours for investment. If you are bringing something new to the market you are much more likely to secure that all-important funding. Finally, be realistic about how much your business is worth. Start-ups, like many established business, often fall into the trap of over-estimating the value of their company. Also bear in mind that with the right investor, their input could be far more valuable than just the money they can give you. An experienced investor could also offer sound and objective business advice and introduce you to their network of contacts which could really help you take your business to the next level. Don’t be disheartened if your pitch is knocked back. It is easy to take this rejection personally, but it may have nothing to do with your idea or how you presented it, it may simply be the case that you pitched to the wrong investor for your idea. Take every opportunity as it presents itself, ask for feedback, and learn from each experience. 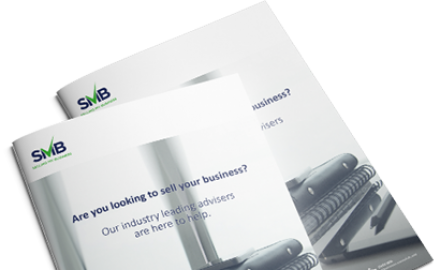 If you are looking to buy or sell your business, the experts at Selling My Business can provide the professional help and guidance you need. Contact us today for a free consultation. Next Article: The Asda-Sainsbury’s merger – what’s actually happening? Previous Article: Mentoring: What is it and how do I find one for my business?